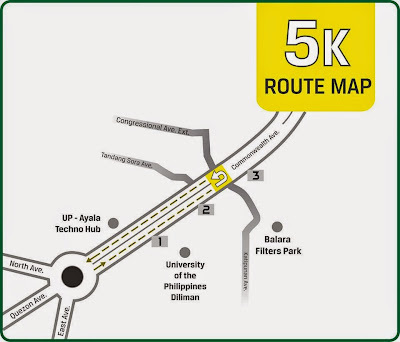 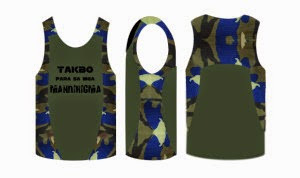 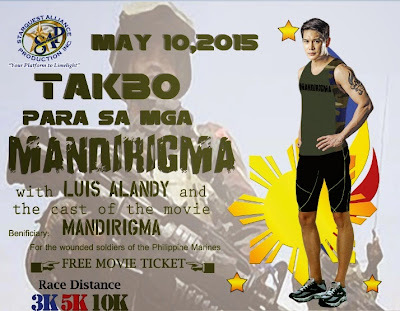 Starquest Alliance Production holds Takbo Para Sa Mga Mandirigma 2015 Run to be held on May 10, 2015 (Sunday) at Quezon City Memorial Circle, Elliptical Road, 1100 Quezon City. This project gives tribute to the Filipino soldiers. Luis Alandy and the whole cast of the movie, Mandirigma, will be there too. 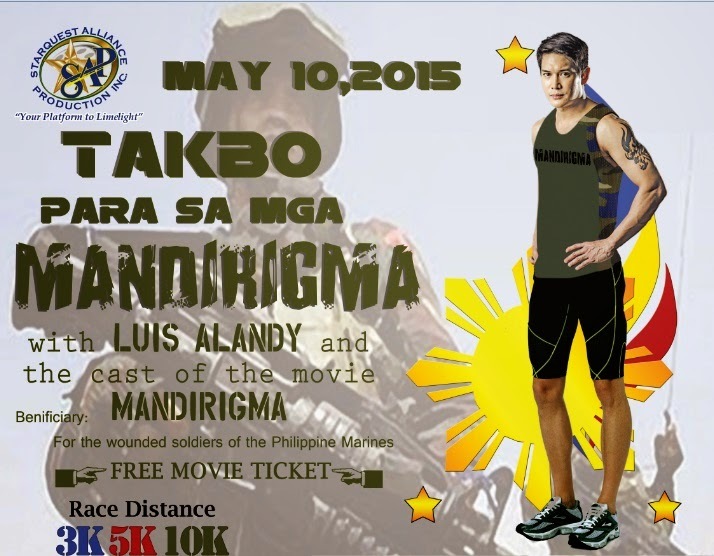 The film is written and directed by journalist Arlyn dela Cruz. 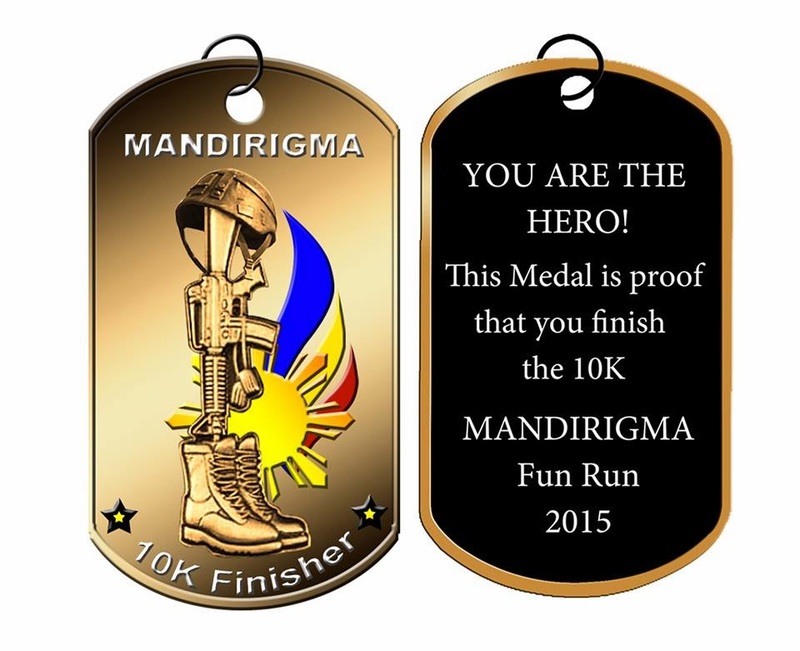 Part of the proceeds will go to the wounded soldiers of the Philippine Marines and SAF 44 Fallen Heroes' families. 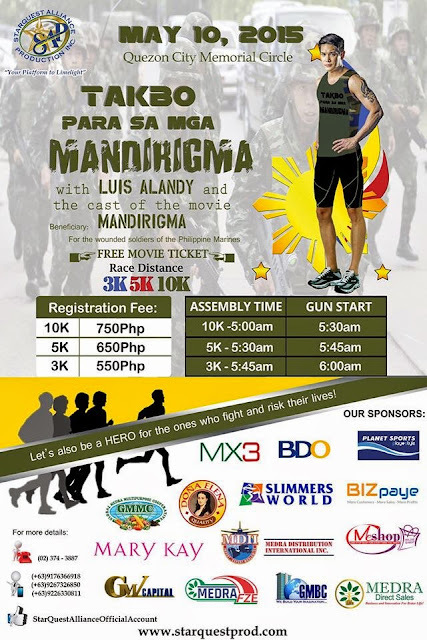 Registration Fee includes a Singlet, Race Bib, and Mandirigma Movie Ticket. 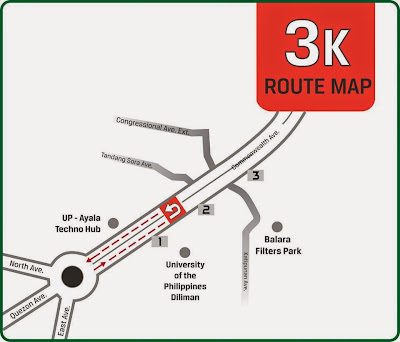 Planet Sports – Trinoma 2nd Flr. For more information, please call 374-3887. 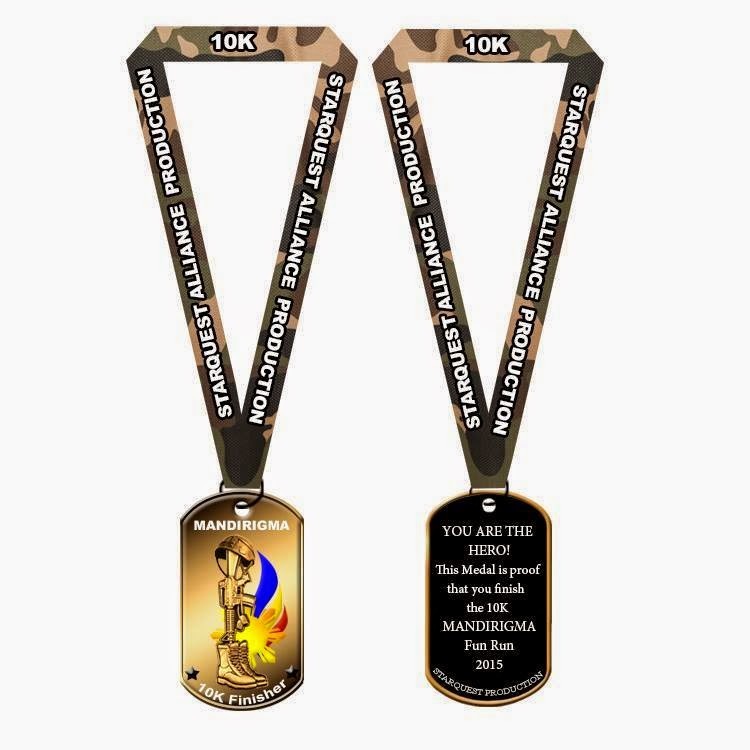 10K Finishers will get a medal and a finisher's shirt.